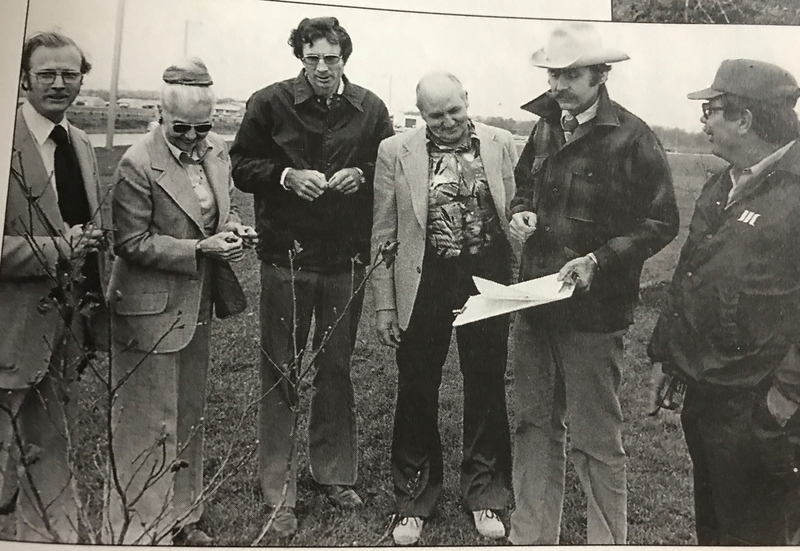 The Joliet Junior College Natural Sciences Department will host a rededication ceremony on May 3 to celebrate the 20th Anniversary of the Dr. William M. Zales Nature Trail and Arboretum. The ceremony will take place at 3 p.m. in the U-Building Auditorium on the college’s Main Campus at 1215 Houbolt Road. Those planning to attend should RSVP to Dee Ulloa-Jimenez at 815-280-2659 or dulloaji@jjc.edu by April 26. Refreshments will be provided. Zales was a biology instructor at JJC from 1967-1999. He taught courses in botany, general biology, plant taxonomy, ecology, conservation and taxidermy. He believed that all students should know the value of nature and the importance of preservation. and Earl Meisinger; Dr. Zales and Steve Flanagan. Zales originated the idea of a college arboretum and nature trail in 1975 as part of the College Use Plan. He wanted to show the ecological diversity on campus as well as create an accessible outdoor learning laboratory. The arboretum currently features over 150 species of trees, shrubs and vines. JJC’s nature trail consists of 2.75 miles of paved trail and 2 miles of unpaved trail. The paved portion is part of the Forest Preserve District of Will County’s Rock Run Greenway Trail and can be used for cycling, skating, walking and running. The unpaved portion is a footpath only. You can find more information and a map of the trail on JJC's Prairie & Forest Trails page. “The trail gave educational value to a large part of the campus that some people felt was useless,” said Zales. Upon his retirement in May of 1999, both the arboretum and nature trail were officially named after Zales for his central role in their establishment. “It was certainly an enjoyable enough opportunity just to use these two living laboratories in my classes but when they were named after me and now with the addition of a permanent stone monument I am deeply honored with appreciation,” said Zales. Dr. Zales and his wife. Since 2004, the JJC Foundation and Alumni Relations and the Natural Area Committee have teamed to raise funds for the continued advancement and maintenance of the arboretum through the Trees for Tomorrow campaign. “My hope is the trail system and arboretum will remain for the education and enjoyment for JJC students and community long into the future,” said Zales. For media inquiries contact Communications and Media Coordinator Scott Harvey at 815-280-2844 or sharvey@jjc.edu.